We see how to use user and groups feed inside SharePoint. Now lets see how we can utilize Company feeds. It basically shows all the feeds of company. 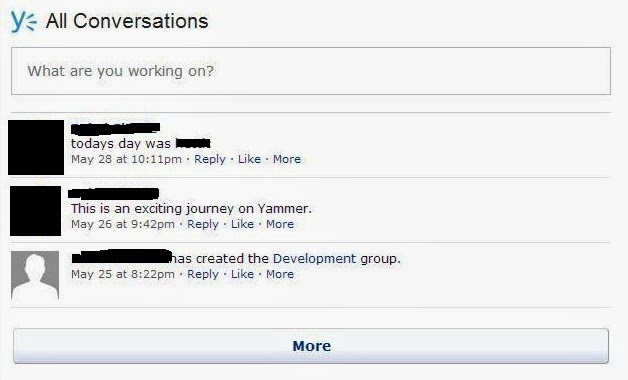 In Yammer it is known as All company. 1. Open page in edit mode. 2. 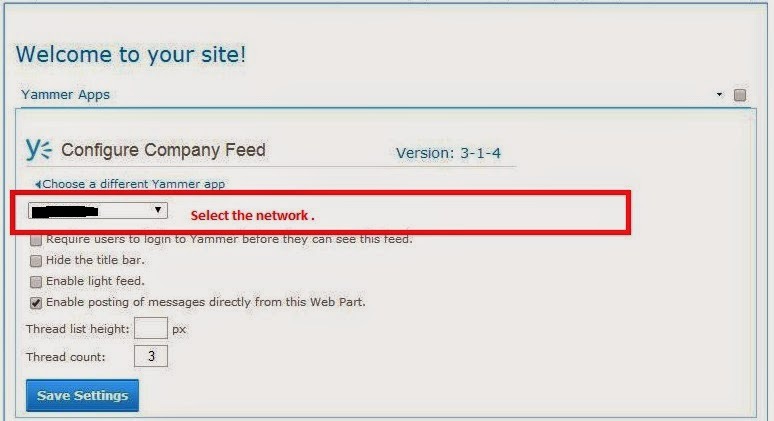 Add Yammer App web part. 3. Click on the Company feed. 4. Select the proper network. 6. Save and close the page. Mainly you can put this on page which is very common page or main page in company's portal. This will provide updates and happening events within company to all peoples. This is great app to keep all employees updated with latest information. Peoples can see all public messages posted in All Company. Now let’s see how to configure My Feed. My feed is much helpful to configure a page to see My updates. This can be configured as below. 3. Click on the My feed. This is very much helpful when employees want to see just their feeds. These feeds are those in which he/she is mentioned, following threads, peoples, updates on posted messages, etc.